You may have heard that self-publishing is a trap for most authors. You do all the work, watch others get the benefit and, worse, you end up out of pocket. It is not quite like that, but for some people it can be a nightmare. You can do it all yourself. From writing and illustrating, creating the e-book, to publishing to friends or the world. For free. 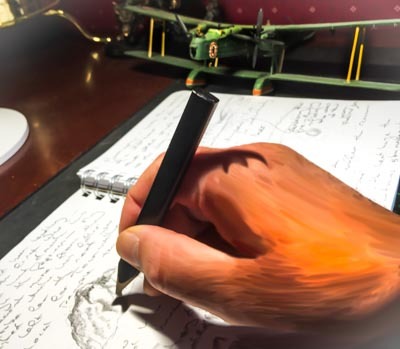 If you want to try your hand at writing, social media a great place to play. All of us have stories, family histories, travel adventures and recipes (with or without pictures). It is fun sharing these: but it can be transitory, posts come and go. But, even so, once a collection passes a couple of dozen posts, lots of good older posts can fade from view. If you want something a little more permanent, you may start thinking about an electronic book. This is one way of doing it, in three easy steps, within the Google environment. Before you start on that 600 page book you are going to write, try something simple to get into the swing. Try a 10 page book with some family recipes, or the story of Aunt Mable and the Depression or an amble along a beach. Better still, try turning 5 of your social media posts into a book. I start with a pencil and paper, but that is a bit old fashioned. You can start typing straight away. Before you pick up pencil and paper, have a close look at your posts. If you have been posting a picture and a bit of text, you might not need to do much more writing. 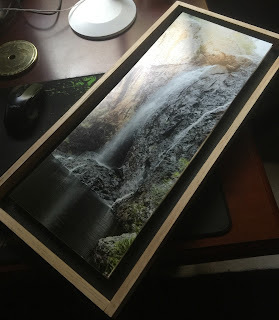 For example, in one Collection, I try to publish a waterfall picture and some text about the fall and how i took the shot. In another example, I write some of the text and CR Bravo prepares the drawing (or vice-versa) and we then both work on the text. My point here is that your book may have already been quietly writing itself and you may already have a good basis for the written/image part of your book. Still, chances are you will have to do a little more typing. Use Google Documents. 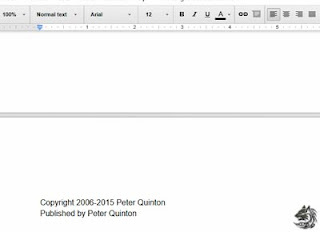 It is a brilliant, simple word processor free from Google. Make sure you are logged into your Google account. You will find it in the nine-box Icon in the top right of your browser - you might have to press 'More' to find it in the list. 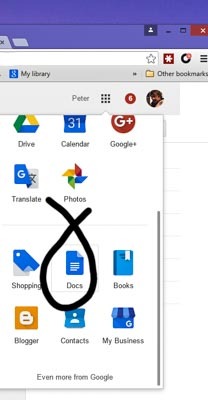 OR browse to docs.google.com in your browser. It is free and has some tools we need later on. 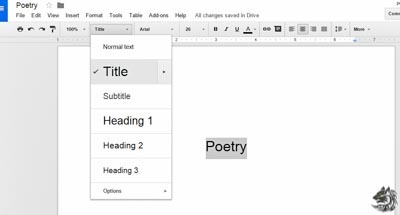 You may be familiar with Microsoft Word if you have had an office job – if so, you will pick up Google Documents in under a minute. TIP: Do NOT use Microsoft Word. It is a neat program that will stuff your document full of chaff and make your final electronic document huge. 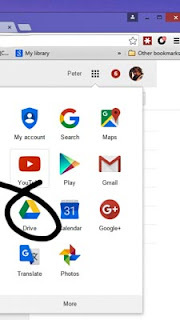 All your work is saved in Google Drive in the cloud (which you can find anytime by going to the nine-box Icon and looking for Google Drive OR navigating to drive.google.com). If you have not used a word processor for anything serious before, do not panic. You do not need to learn anything special - all the basic formatting commands to produce a nice result are close to hand (and there lots of free online guides that will help out if you get stuck). First up, create a new document. 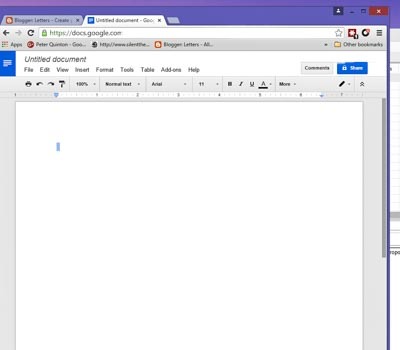 Name your document (top left corner - type over the word 'Untitled Document') and then start typing. Google documents save as you go along (there is no save button). The first page will be your Title Page. Add the name of your book (you can always change it later) and use the format tool to give it 'Title' format. Then move your cursor down the page and enter a page break. Make a new page and start writing. If you have already written stuff in social media (or elsewhere) and you want to use it, just go to your post, highlight the text and copy it (in Windows systems hold Control and press ‘C’) then go back to your Google documents document, and paste it (hold Control and press ‘V’). 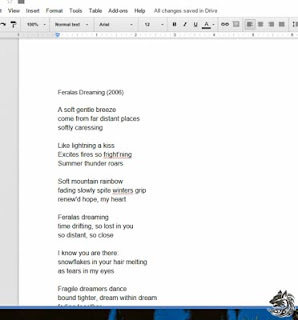 In the example I have copied a couple of old poems I wrote out of another word processing document. 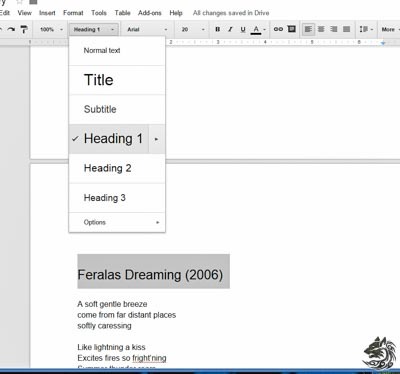 TIP: If you are copying from another word processor file, you may want to get rid of the chaff that program has added (notionally formatting instructions, it often adds to the size of the final product without adding anything useful and sometimes making your job harder) - highlight the copied text when you get into Google Docs and go to Format/Clear Formatting to remove hidden baggage. You can import your pictures into Google Documents using the Insert/Image command, create new pages using Insert/Page Break and create headings and subheading using Format/Paragraph Styles (in the example, I have marked the name of a poem, and then added Heading 1 format to it. If you make a mistake... just press the Undo button. When you are ready, add a table of contents at the location you choose using Insert/Table of Contents. If you need more (eg, page numbers), you will find it using the simple interface. In terms of content there are a couple of important rules. Do not copy other people’s stuff without their permission. Do not slander/libel/hold up to ridicule another living person. It is not polite, and you can be sued. Avoid doing it to dead people, because they might have access to the powers that be and, well, who knows. 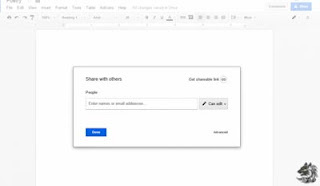 One nice thing about Google Documents is that you can (if you wish) collaborate with others - writing together, within the same document. You might want to share with a friend if you get stuck, or get someone else to review it. The share facilities are in Google Drive – just right click your document's icon and select the share option. Some people can write heaps in a day. They generally go mad after a little while, or become unpleasant, stale and start to smell. 3-4 pages a day is fine which is what I aim at if I am being serious. But half a page day is ok as well. Writing takes time. Even just half a page a day over a year will grow to a whopping 180 pages. If you are serious and need some heavy duty help in structuring your writing, there are some simple useful tools out there – like the free yWriter5 (http://www.spacejock.com/yWriter5.html). One issue to keep in mind is picture size. This is only important if you want to use lots of pictures (as in a recipe book). In that case, you might want to shrink the size of your pictures to match the size of the final page size (ie, how they are going to appear on the page which might require a little more research or trial and error by you). These days, the picture you take on your phone might be huge in real terms (a couple of feet or a meter wide) and take up a lot of space. There are simple online tools that will let you reduce the size of a normal 10Mb picture to a tiny but acceptable 0.05 Mb. At the end of the book, include a little information about yourself, what you have published and how people can stay in touch with you. As with any source document, you might want to keep a backup - in Google Documents use the File/Download command to download a copy to your own (comparatively speaking, dodgy) hard drive. TIP: The File/Download command is worth exploring. 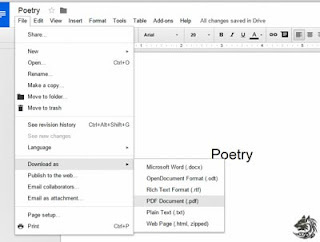 We are going to use it below to export to a PDF file - but this option also lets you export to HTML (web page format), Microsoft Word document format and some other neat options). Finished writing? Now let’s convert it into its final electronic form. We are going to use PDF, which is a file format that most people can view, but will stay in the form you create it in. There are lots of other electronic reader formats – but PDF is readable by almost everything. Open your document in Google Documents and create a PDF version using File/Download As/PDF Document. A PDF version of your file will appear in your computer’s download directory. Find it and open it. If you are happy with the result, you now have your electronic product. Before you go further, check a couple of things. First, look at the documents size. Anything less than 1Mb is fine. 1.0 – 5.0 Mb is acceptable but can strain friendships. If it is more, you may need to look at shrinking the PDF form (and there are a couple of simple on-line sites that will do this for free). If you have used lots of big pictures, you may have to go back and use smaller versions. Second, look at the overall book, especially the Title page. If you can see where you need to make changes – go back and play with your original file. Now you are ready to publish. Stop and have a think about what you are doing. For starters, you will not be able to sell it if you put it onto the web for free. But even if it proves wildly successful, publishers will not republish in hard copy form without you paying a hefty fee. For seconds, once it is up, it might be copied and reissued under another’s name (stolen). Personally, I hope something I write gets stolen, because it is the fastest way I know of me becoming a millionaire and is largely tax free. For thirds, you are becoming a digital disrupter. You can add that to your resume and provide it as your job description. It is a neat job description. Your name will go on an official list somewhere as a malcontent and you will probably be called dangerous in government memos and on the evening news. Mainstream writers will ignore you and you will not be eligible for book prizes and your books will never find their way into a school curriculum or the local library (and librarians, who are normally mild mannered nice people, may pursue you with grim resolve for unpaid library fees from 20 years ago). Just to put the boot in, you will have to wear the private shame of being partly responsible for the next book shop store closure in your area (remember the one that charged you $48.24 for a book they imported at no risk for $5?) BUT you will be doing your bit to rid the world of self-appointed literary critics. While on the unpleasant question of self-appointed literary critics, by putting your work into the public domain, you expose yourself to criticism (ie, your spelling is atrocious, your ideas mundane, or your treatment of the subject superficial). I dislike literary critics*. The ones who have practiced this obnoxious profession for a couple of years generally become mean nasty people, with shrivelled brains, small intellects and unpleasant personal habits. Glad I got that off my chest. These days, literary critics are a dying race and no one really reads anything they write anymore, except to pick up those last couple of spelling mistakes that slipped through the word processor spell checker. *I trust that you do not have a friend who is a literary critic. If you have a friend who really is a literary critic, I cannot help you and you should go away and open a Facebook account. In all other cases, if you really have a friend who can really spell, and they give you a nudge, accept the advice with good humour and the promise of wine or chocolate. For your own safety, do not under any circumstance offer food to literary critics. Still want to go ahead? Drag the pdf file into your Google drive. Right click it and get a shareable link (top left corner of the pop up window). This link will give anyone in the world access to your pdf document, without you having to do anything else. No printing presses, no bookshops, no need for a separate website. Magic. 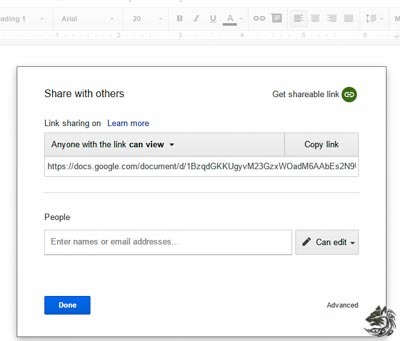 TIP: The shareable link can be a mouthful. Note that including pictures and page numbers can change the size of the finished document significantly - in this case it bumped up the size from 68Kb to 281Kb :/ . There is an easy way of making the file address very small. Go to an URL shortening site - like Foo. Enter the long name, and google will give you a new short alternative. 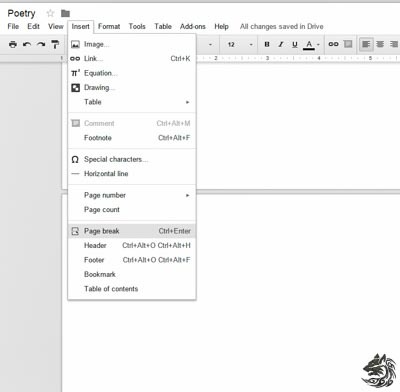 The truncated address to the poetry book file is https://goo.gl/SxSXnc. Shortening the file name does not change the size or content of the file but it makes it easier for your reader to connect to you :) There is another advantage of using the goo.gl form. Google tracks the number of people who have used the file, what browser they use and the geographical distribution of the people. It does not tell you who has accessed, but it gives you an idea of whether anyone is using this way of connecting to your work. The world can now download the pdf file (using either the long or short URL) into their e-book reader, or simply read it on-line. If your reader has an iPad, they can download the PDF file into a special section of their iBook library. Other readers have similar capabilities. While the world can download, you have to tell the world where the book is. So publicise the link. Give it to your social media friends via a post or by sending it to your friends in an email. Do not spam people with it, you will lose friends and cease to influence people doing that. Recently I published a pdf book of old recipes from my Grand Aunt. I put the link into a social media post and sent a copy of the link via email to a couple of family members and friends I thought would like it. TIP: Is there a business opportunity for someone out there to maintain a free list of books published in this way? It is a good idea to publicise the pdf document link in a place you can change it from time to time – ie, if you change the source file (eg, add an epilogue). TIP: If time comes when you want to cease publishing the pdf version (you might have a new version you want people to use), just go to Google Drive, and delete the pdf version there. People will still have the old version of the pdf file they have downloaded... but others will not be able to download the file because it no longer exists. This is one way of jumping through the hoops and getting an acceptable result. In time, if you found you were doing lots of these and wanted more control over the outcome (smaller size,more format options) you might think about moving to more expensive software - such as Adobe InDesign (professional publishing software) and Grammarly (automated proof reading). But you probably do not need to go down that path unless you take up full time publishing. If you publish stuff, make sure you check out any local rules about submitting or registering your book. Many countries have a book deposit scheme (where you have to send copies to a central library). Enjoy, encourage others and inspire!